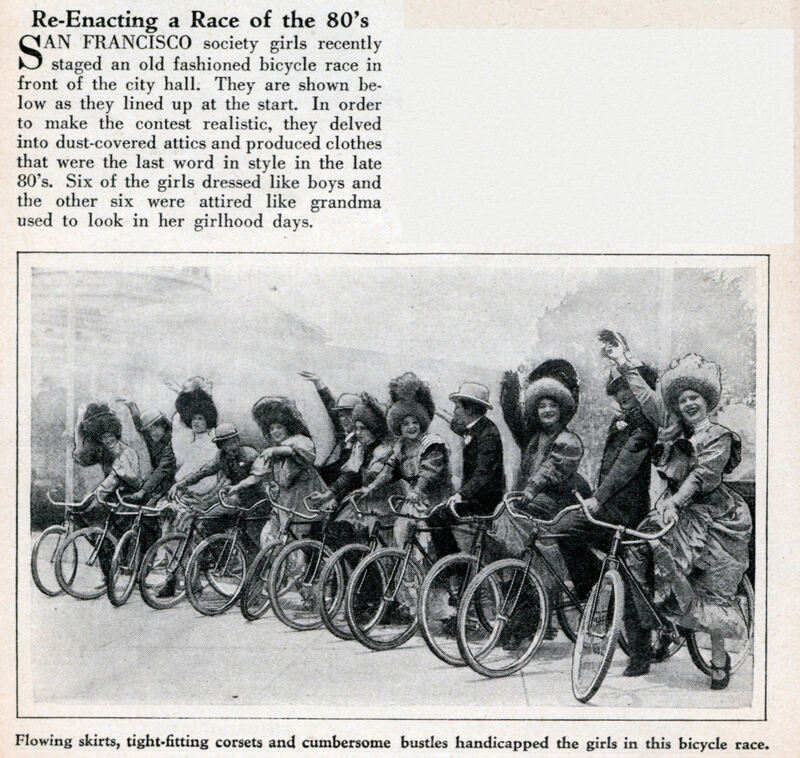 SAN FRANCISCO society girls recently staged an old fashioned bicycle race in front of the city hall. They are shown below as they lined up at the start. In order to make the contest realistic, they delved into dust-covered attics and produced clothes that were the last word in style in the late 80’s. Six of the girls dressed like boys and the other six were attired like grandma used to look in her girlhood days.